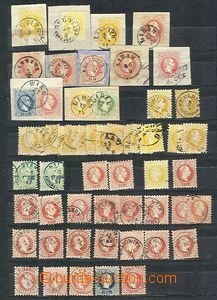 1850-64 AUSTRIA smaller comp. 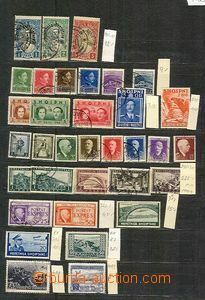 of stamps I., issue II and III.., total 30 pcs of stamp. on free sheets, i.a. 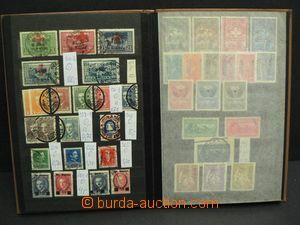 by/on/at The 2nd issue 4 pcs of cut-squares with red postmarks Recomandirt Wien etc..
1890-1970 EUROPE collection 32 pcs of choice notebooks with high remaining value, origin from Austria, very profitable offer! 1890-1990 EUROPE collection 18 pcs of choice notebooks and small stockbook A5, with high remaining value, origin from Austria, profitable offer! 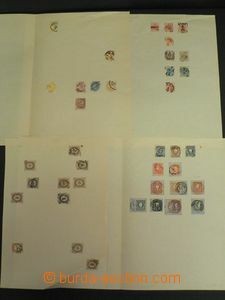 1958-80 GREECE smaller incomplete collection in 2 small stockbooks A5, supplemented with clear stamp. Sharjah, Sudan, Quatar etc..